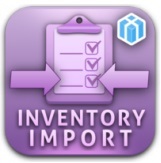 Another cool time-saver from Xtento is called Stock Import Module. 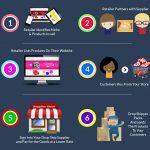 The extension is designed to streamline the import of stock level updates from CSV or XML files, eliminating boring tasks from your daily routine and simplifying the default Magento workflow. Using the module, you revamp the way stock information from third parties is imported into the system – the process becomes fully automated, so you don’t need to spend hours every day updating everything manually. And below, we shed light on how the Xtento Stock Import Module works as well as describe its core features. Having installed the extension, you get a perfect opportunity to import all stock entity related fields including Quantity in stock, Is in stock and Manage stock to your ecommerce storefront. It is only necessary to upload a file that contains SKU and quantity information to update your stock levels within seconds. 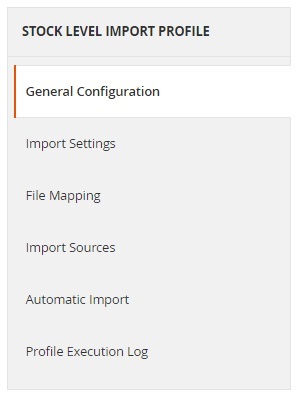 Xtento Stock Import Module For Magento 2 and 1 processes the imported file and transfers the stock information according to your previous configuration. As a result, you eliminate the need to perform manual stock updates. 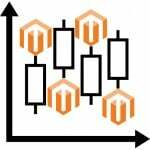 Furthermore, the Xtento Stock Import Magento extension provides reports on which products have been updated and which haven’t. Besides, you can set up a schedule to run each import procedure after a predefined period of time. Please note that the Xtento Stock Import Module does not import product and catalog data. The extension is related to the stock entity only. The only purpose of the module is a rapid update of stock levels for existing products. 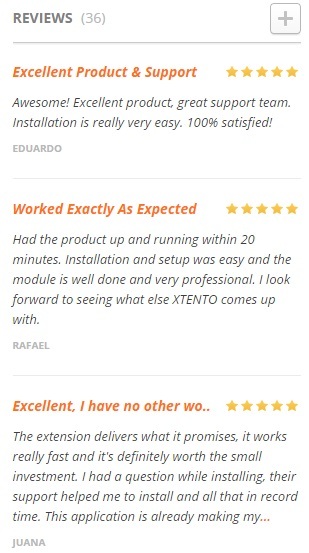 But you can easily get the missing functionality by installing other Xtento modules: Order Export, Product Export, and Tracking Number Import. 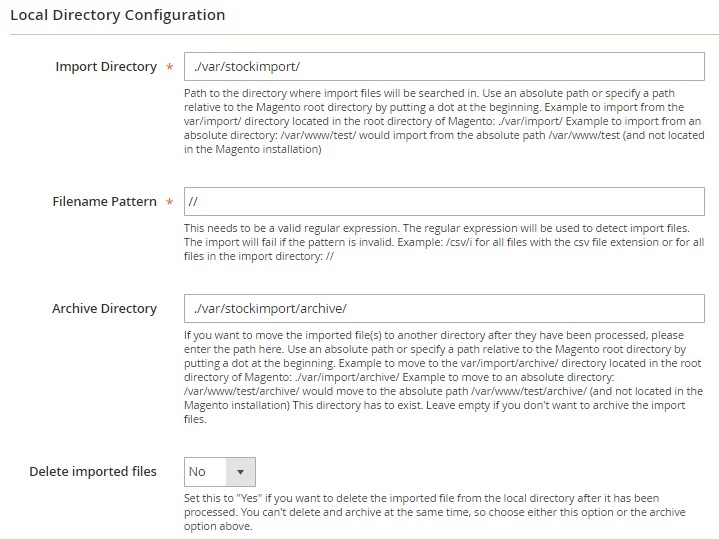 Let’s return to Xtento Stock Import and see how it is designed from the perspective of a Magento Administrator. You select an import profile, or upload a file with data manually here. Beside, Xtento Stock Import Module For Magento 2 and 1 let’s you activate test mode and debug messages. Action (you can edit profile here). Each column except Checkbox and Action supports sorting. As for actions in bulk, they are: Delete and Change status to Enabled / Disabled. While adding a new profile, you should specify its name and choose file processor and import entity (both options can’t be changed after the profile is generated). Next, Xtento Stock Import Module creates and saves your new profile redirecting you to a screen with additional settings divided into 6 tabs: General Configuration; Import Settings; File Mapping; Import Sources; Automatic Import; and Profile Execution Log. In General Configuration, you can view profile’s name, status, processor, and import entity. Name and status can be changed. The Import Settings tab is divided into four sections: Import Settings; Miscellaneous Settings; Store View (Price Update); and Filter. 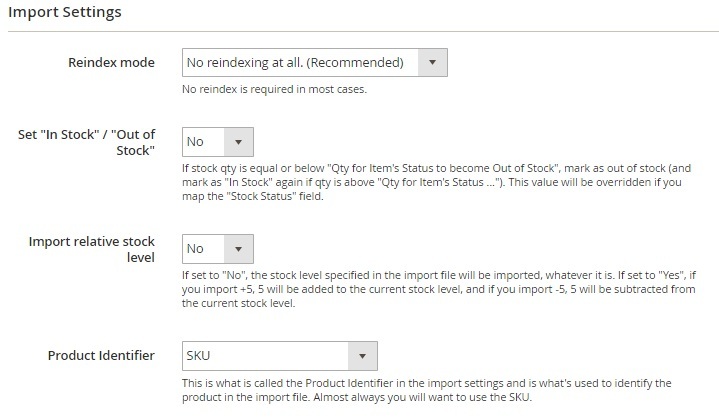 In Import Settings, you choose reindex mode (No reindexing at all, No reindex, Full reindex), enable/disable Set “In Stock” / “Out of Stock” and Import relative stock level features, as well as choose product identifier (SKU, ID, or Custom Product Attribute). If you choose Custom Product Attribute, a new field appear: Attribute Code. In Miscellaneous Settings you decide whether to update “low stock date” after importing or not. 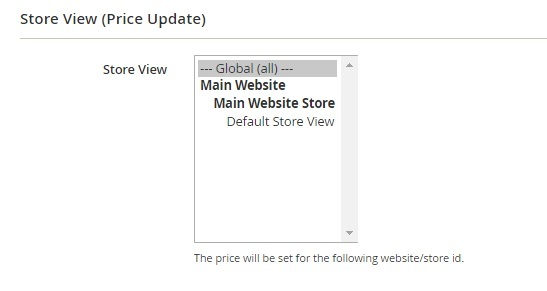 As for the Store View section, you should specify website/store id the price will be set up for. Next, you can set up 3 filters to make your import more precise. As for the File Mapping tab, it is divided between two sections: File Settings and File Mapping. 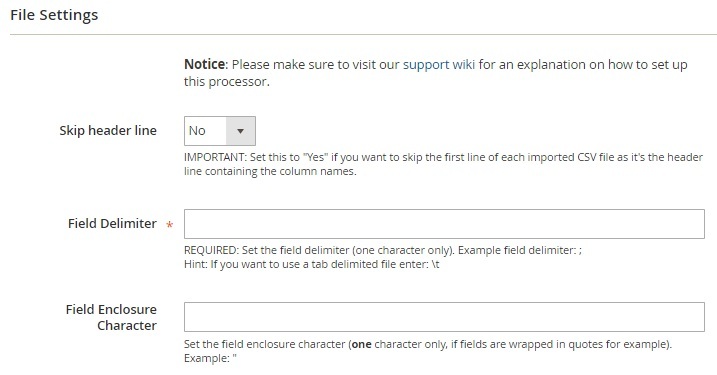 In File Settings, you decide whether to skip a header line or not and specify a field delimiter and a field enclosure character. As for Automatic Import, you can view Cronjob status here as well as enable automated import and select its frequency (choose a predefined period or set up a custom one). 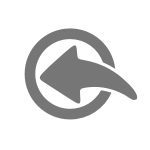 The Tools section of the extension lets you upload previously exported settings and import them. Support for CSV, TXT, Tab, Fixed-Length, and XML formats. Backend mapping provides the ability to use any field names and formats. Unlimited amount of import destinations. 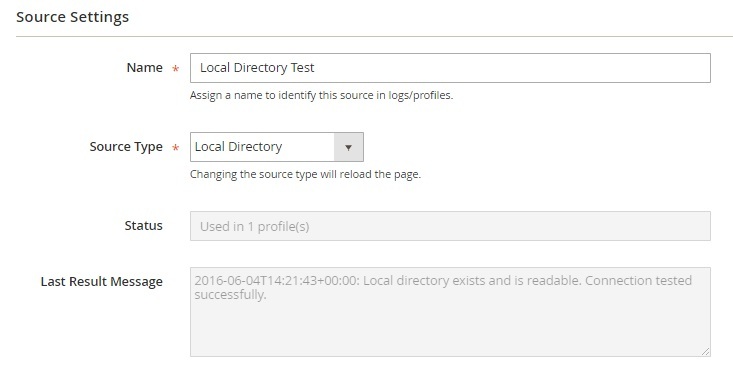 Support for local directories, FTP, FTPS, SFTPv3, HTTP Servers, Webservices/APIs. 1000 stock updates per second or 0.001 second per product. Intelligent Import: modified stock items get imported. Relative (+X or -X) stock level import. Absolute (set stock level to X) stock level import. Products identification via custom product attributes. Imported files can be archived or deleted. Xtento Stock Import Module For Magento 2 and 1 is a simple but yet powerful tool that will help you forget about headaches related to stock level updates. With this extension, you will only need to configure it once and let the module do everything manually instead of you. As for the price of the tool, it is $179 – a quite reasonable investment for such a useful improvement.